It is with great sadness that I announced the passing of my twin brother, Hank. On Wednesday, June 14th, 2017, Henry John Deutschendorf II lost his battle with schizoaffective disorder. Many people did not know much about Hank. Some knew him as Baby Oscar in Ghostbusters 2 or John Denver’s nephew. 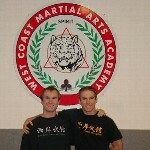 Others knew him as a brother, son, martial artist, teacher, uncle, or friend. What people do not know about Hank was that he suffered from schizoaffective disorder. It is a chronic mental health condition which is a combination of bipolar disorder and schizophrenia. He experienced hallucinations, delusions, depression, and mania. It is a very severe mental illness that usually requires a lifetime of treatment. It is not well studied, so the treatment is largely an estimation based on schizophrenia and bipolar treatments. Hank was diagnosed in August of 2008. If you knew Hank before his diagnosis, you knew a young man who was upbeat, healthy, witty, kind, outgoing, and was always ready to stand up for people. Medication curbed the delusions but it did not stop the voices. The side effects of the medication took a toll on Hank. He felt like a zombie, lost his personality, gained weight quickly, slept for twelve hours a day, and had to use all of his willpower just to lift his hand to drink a cup of water. My brother was left with a bandaid for a gunshot wound. Hank fought for his life every day. Since his diagnosis, he tried everything to alleviate the symptoms. In his daily life, he used supplements, meditation, strict dietary plans, and exercise regiments. His daily disciplines weren’t enough to allow him to live the life he wanted to live. Other things he tried, to no avail, were homeopathic medicine, herbs, water fasting, acupuncture, aromatherapy, chakra cleansing, affirmations, magic bath salts, CBD, prayer, voodoo, magic spells, parasite cleanses, and more. By the end he had 25 voices, all with different personalities and opinions, but mostly agreeing they did not like Hank. Hank would have good days and bad days. He didn't take a real sick day from work for nine years that I can remember. Sometimes he would lie and say he was sick because he felt guilty, but I knew he really just couldn’t stand another day on the training mat with his voices. He never took a real vacation, other than a few trips with his loving girlfriend. Any day he stayed home was because of his voices and delusions. Sometimes he stayed home because he was manic and couldn’t sleep. Other times he was so depressed he could not leave his home. Despite all this, Hank thrived. Our martial arts school hit 150, 175, 190 active students over the years. He said he had cognitive problems, but he could still think things through better than me. He trained in multiple styles of martial arts. He earned his third and fourth degree black belt in Kempo, bought his own condo, and found the love of his life. For Hank, it was quality over quantity. On June 14th, Hank lost his battle to schizophrenia. Our parents will always remember him as a loving son. His family will remember him as someone who was always there when they needed him. His nieces and nephews will remember him as the funnest uncle who was always ready to play. His close friends will remember how he always helped them look for the silver lining. 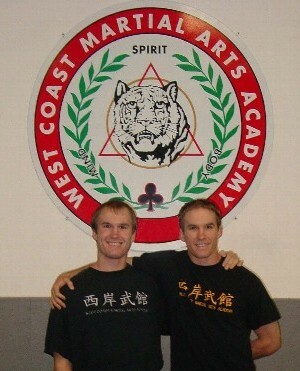 His students will remember him as a mentor, in martial arts and in life. His girlfriend will remember him as someone who made her feel like the most important person in the world. I will remember him as my best friend, my partner, my brother, and the bravest man I have ever known. It is very important to me to immediately spread awareness about schizophrenia, bipolar, and suicide prevention. If your first reaction is to ask us what you can do, it’s to help us do everything we can to help others suffering from the same illness as Hank. Since 1987, the Brain & Behavior Research Foundation has awarded more than $365 million to fund more than 5,000 grants to more than 4,000 scientists around the world. The mission of the Foundation is to alleviate the suffering caused by mental illness by awarding grants that will lead to advances and breakthroughs in scientific research. 100% of donations for research are invested directly into research grants thanks to the generosity of two family foundations that underwrite operational expenses at the Foundation. The funding model of the Brain & Behavior Research Foundation encourages new and innovative research in that we are able to support new ideas from bottom up generated by scientists. The Foundation only funds scientists whose research is reviewed and recommended by a world-renowned Scientific Council including Nobel Prize winners and chairs of psychiatric departments. Learn more about the Brain & Behavior Research Foundation.